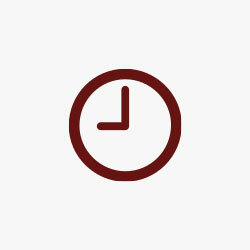 LEGO’s Architecture line is revered by many as one of the company’s most adult-centric themes. As a branch of the landmark-based builds, LEGO has recently spun off a series of models which look to capture entire cities’ worth of iconic buildings and monuments. Today we’ll be going hands on with one of the more recent additions to this lineup, the LEGO San Francisco Skyline. Head below for an in-depth review on LEGO’s miniature recreation of the City by the Bay. In the past we’ve taken a look at other Architecture builds like the Arc De Triomphe. Today we’ll be turning our attention to the San Francisco Skyline, which enters as fifth overall build in the city-wide Architecture series. This series of builds looks to capture several iconic landmarks or locations from a city, rather than just focusing on a single monument. As such the overall scale is smaller, but that doesn’t mean the level of detail is diminished. 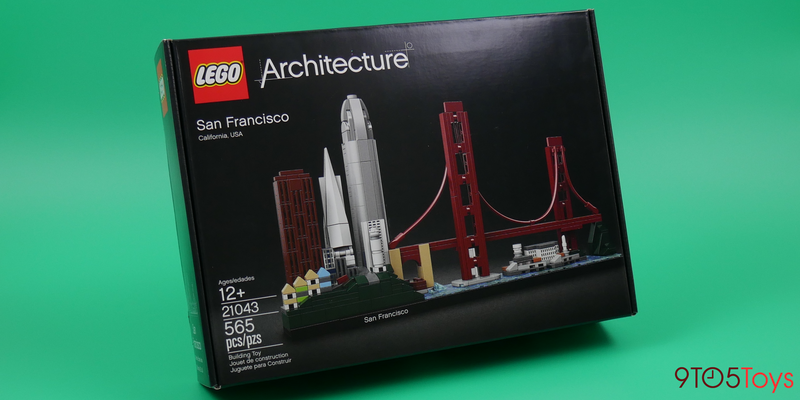 The LEGO San Francisco Skyline comes in the same black box that other Architecture builds do. Another inclusion that makes the line stand out from your average LEGO creation is that the instructions are packed with tidbits about the location. In this case, before you actually get to building you’ll be presented with a nice background on San Francisco. Then throughout the build, occasional blurbs appear to offer additional information about specific sections of the creation. 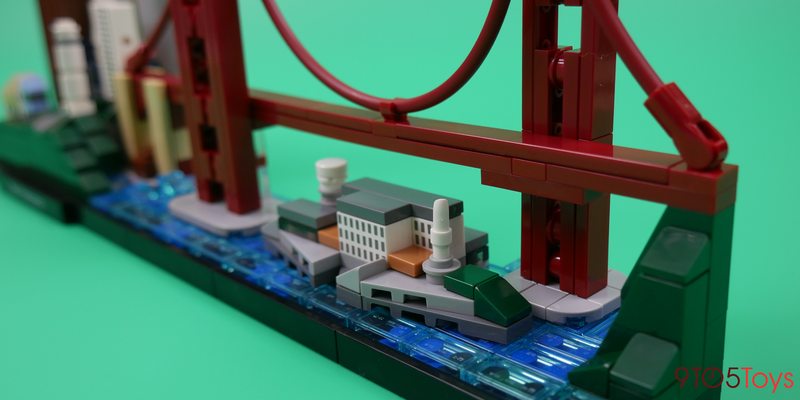 The Bay Area is full of various iconic landmarks, many of which have made their way into LEGO’s brick-built recreation of the city. LEGO’s San Francisco Skyline can effectively be broken down into two different sides. On the left you have city itself, with Transamerica Pyramid and Salesforce Tower dominating the skyline. There’s also a series of buildings near Alamo Square and 555 California Street, as well as Coit Tower and Fort Point. Shifting focus to the righthand side, you eyes will immediately follow the red arches of the Golden Gate Bridge. Underneath there’s Alcatraz Island, which rounds out the list of notable landmarks included in the set. As is a staple with LEGO’s Architecture kits, the San Francisco Skyline has no sortable of masterful parts usage. After all, it takes some next-level bricksmanship to be able to capture the likeness of so many different landmarks at this scale. Pretty much all 565 of the included pieces are put to perfect use. The manner in which the Golden Gate Bridge was built is the highlight of the build for me. But the other aspects, too, are some of the more notable ones in recent releases. And to accomplish a lot of the unique structures included in the set, there’s a wide range of techniques utilized. So while some of the more detailed builds get a little tedious, the San Francisco Skyline is as entertaining as it gets. Should you buy the San Francisco Skyline? Regularly $50, there’s a lot to love about one of LEGO’s latest Architecture kits. 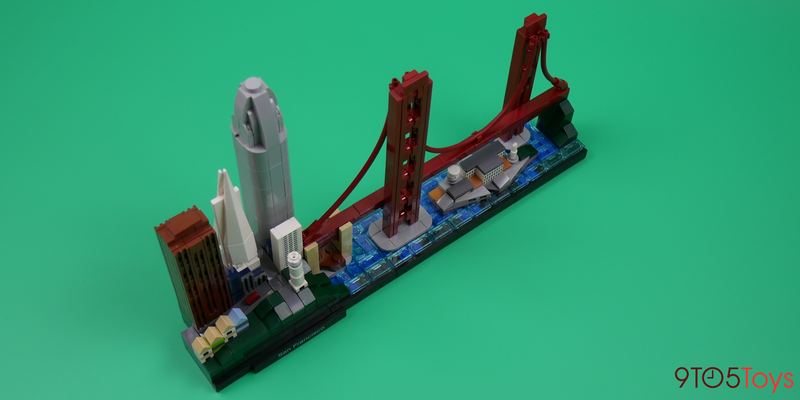 The San Francisco Skyline encompasses the usual detail and display-worthiness that the LEGO theme is known for. The build’s size is perfect for displaying on your desk, and its part count is notably high for the price. Regardless of if you’ll marvel at the brilliant usage of parts or not, if you enjoy a solid build, look no further. Of course, if you’re already a LEGO Architecture collector, then the San Francisco Skyline is just hands-down a must.